ABOVE LEFT: The King [Don Reices] and Queen [Robin Tiltges] of African Mystique start off their reign with a romantic dance. 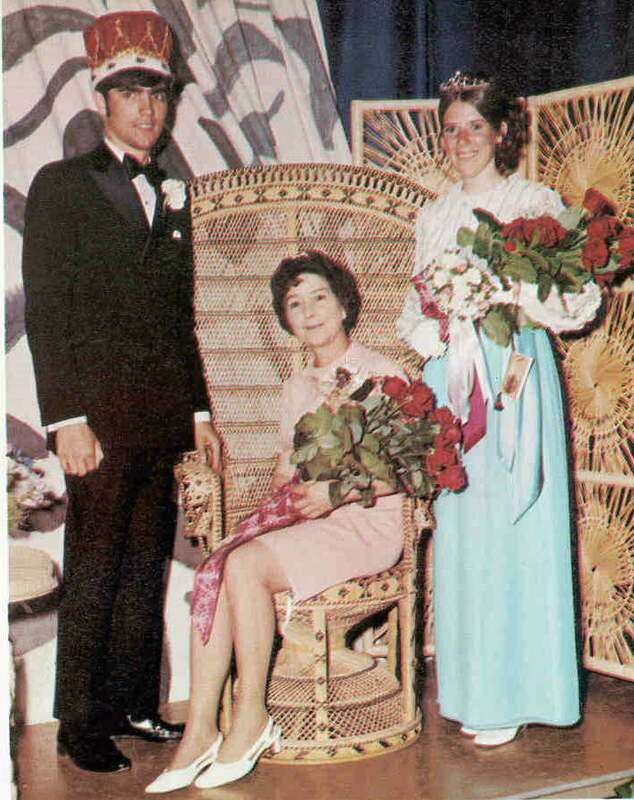 ABOVE RIGHT: The Royal Couple share the spotlight with a deserving honorary queen, Mrs. Ann Bach, junior counselor. 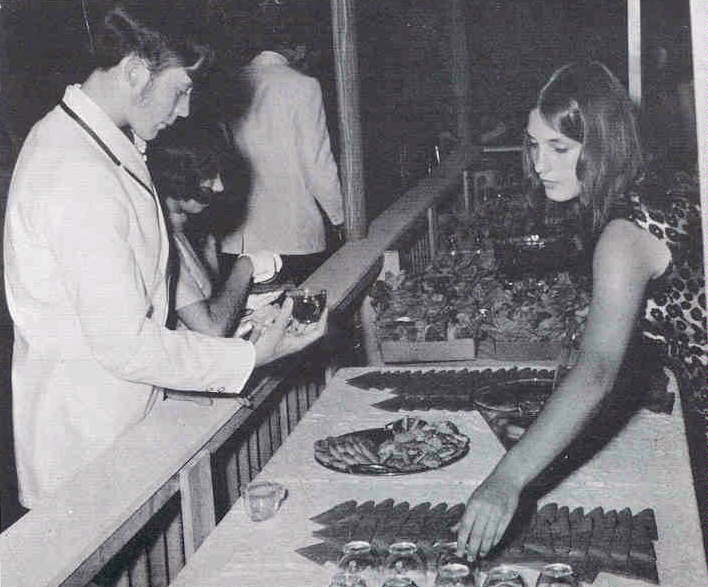 BELOW: A leopard- skinned maiden serves tropical punch to Bob Collins and Kathy Aloia.